According to Iain Dale, Harriet Harman is about to admit that she did extend the mortgage to help finance her campaign. Well, well, well. There was a time when government minister would have resigned over a matter like this, but I can’t see Harman doing so. If Brown has any guts at all he should fire her from her cabinet post and the Labour hierarchy should lean on her to resign as Deputy Leader too. It is people like her who bring politicians of all parties in to disrepute. Life doesn’t get any better for Gordon Brown, does it? As he and his government lurch from one crisis to another, his political future and credibility rests in his hands. You can’t blame everything that goes wrong on him, but as I noted a few days ago, he is not coated in Teflon like Tony Blair and Bill Clinton. David Cameron, during PMQs today, told him he was not cut out for the job he has wanted for over a decade. If this theme runs, he may just become the most embattled prime minister in recent history. 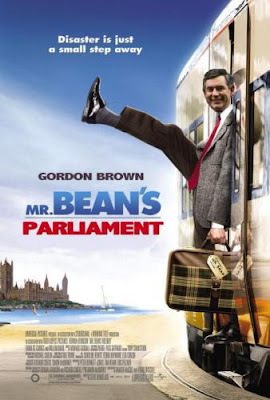 Acting LibDem leader, Vince Cable, said that in a few weeks Brown had gone from Stalin to Mr Bean. I think Brown will be reminded of that quote for quite some time. His problems all stem from his dithering. If he had gone to the polls when he should have done, I believe he would have had a mandate for five years and he could have ridden any storm knowing there wasn’t any pressure on him to call an election. If he continues to stumble from one crisis to another and the opposition parties can continue to exert pressure and exploit his many weaknesses, he may be forced to call an election earlier than expected. If he doesn’t, he will condemn his party to as big a drubbing as John Major’s Conservative Party in 1997. There is a popular misconception that Scots are tight with their money; although after listening to an interview with Sean Connery, you can understand how these misconceptions arise. Alex Salmond, however, proves that when it comes to spending taxpayers’ money, he is prepared to splash out. He wanted a new motto for Scotland and spent £100K on getting one. What is it you ask? “Welcome to Scotland.” I think I need to get in to the motto writing business. You get told before the show has started, that your favourite uncle died at dawn. More than that your Ma and Pa have parted, your broken hearted, but still go on. Yes, there’s no business like showbusiness, but unfortunately for Amy Winehouse, she simply cannot continue her tour without her hubby, who is remanded in custody at the moment. Showbusiness ain’t what it used to be! I would not provide links for them on my blog, as blogging is not debating, but if you want people like these to be exposed for what they are, you have to debate with them. Apparently the debate was balanced and enlightening. I just wish I had been there. The wheels are coming off Mr Brown. We all had a good time in London at the weekend. We went to the Tower of London, a brief look inside Parliament and a visit to the Queen’s gallery at Buckingham Palace. I’m still catching up on the news, but I notice once again Gordon Brown is showing he is nothing like ‘Teflon Man’ Tony Blair. The man seems to attract everything that is flying around him. If I was a Labour MP I would be getting very worried at the moment. This definitely seems like the start of the wheels coming off the Labour juggernaut. The public see Brown and his team as weak. Unfortunately, he is not a Chairman or CEO of a major organisation, who can be given the push early by the shareholders. The electorate must wait. Who knows how much more damage he will have inflicted on Britain by then.